Whilst you can learn specific self defence techniques reasonably quickly, it takes years of dedication for one to master the art of jujutsu. The primary reason for this is that there are many techniques of varying difficulty that one needs to master. However, all of these techniques may be condensed into a number of key principles, three of which we shall discuss below. Historically these key principles and certain techniques were kept secret and only transmitted to the most dedicated students whom were going to pass on the art to the subsequent generation. Master Jan de Jong chose to introduce these principles into the Tsutsumi Jujutsu syllabus from a very early stage in the 70’s to enable a greater level of understanding and thus proficiency by all students of Jujutsu. 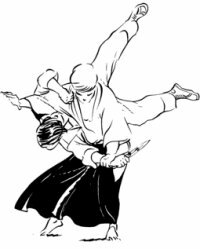 Also spelled as ‘tai sabaki’, this refers to a series of movements that one performs in order to avoid an attack and to put the person being attacked in a position of advantage, thus giving them a chance for counter-attack. Unlike ‘ashi sabaki’, which involves only the footwork, and ‘te sabaki’, which only utilises the hands, taisabaki involves the entire body. Taisabaki is not a term used exclusively in jujutsu, as other Japanese martial arts use it as well including judo, kendo and aikido. The underlying principle remains the same, however, which is to avoid an attack and be in a position to make a counter-attack. Another important principle in jujutsu is kuzushi. This is performed to break the balance of the person’s opponent, which prevents them from completing their attack. By itself, kuzushi isn’t a technique intended to put the opponent to the ground. Rather, it merely facilitates that action. In other words, kuzushi takes the opponent’s balance, so that the defender can perform an additional technique (e.g. nage waza or throwing technique) that will take them to the ground effectively. Fighters won’t always be in an advantageous position. There will be times when their opponent gains the upper hand and, for this reason, it is important for the person being attacked to learn how to protect themselves and reduce their chances of injury when they’re thrown to the ground. This is where ukemi comes in. As the name would suggest, this consists of various techniques that teach fighters how to fall, flip or roll safely. This technique isn’t just important when doing actual combat, but especially during training sessions. 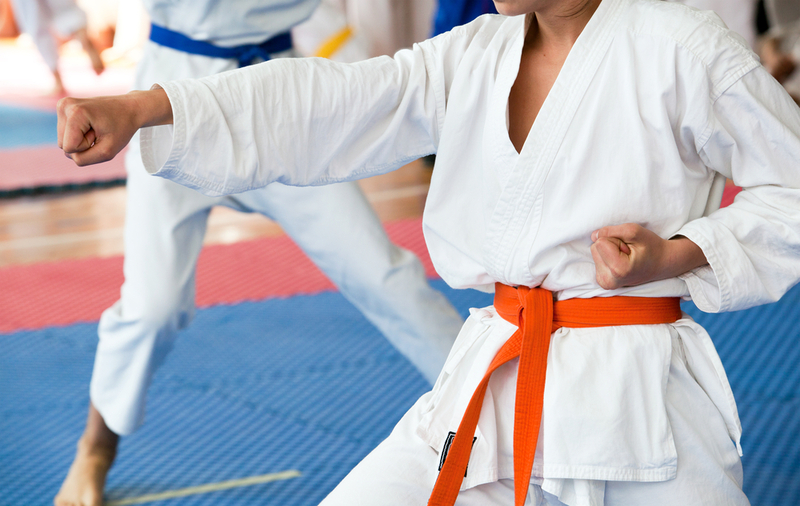 Adequate time must be given to learn ukemi so as to prevent training-related injuries. That way, practitioners of this art are able to practise jujutsu longer. Learning to break fall is one of the self defence principles very applicable to self preservation in everyday life; for example slipping on wet tiles, tripping down stairs, falling off a chair or bike. In summary, jujutsu isn’t simply about learning how to be aggressive or confrontational but rather, it is a combination of many things such as letting the aggressor attack in order to enable a counter-attack, breaking the opponent’s balance, and learning how to minimise the chance of an injury when falling. At Self Defence Central Dojo, we teach these techniques and more through our practice of Tsutsumi Hozan Ryu jujutsu. 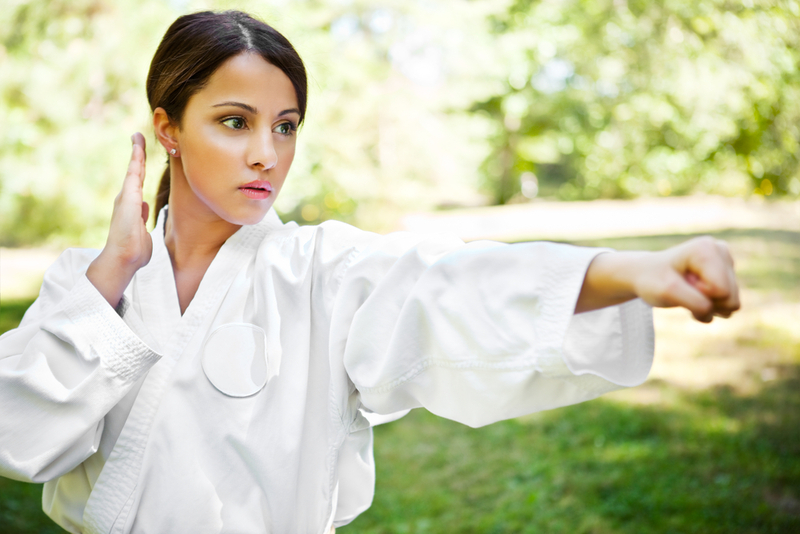 Each technique enables people of every age, size, and fitness level to defend themselves when attacked – an important skill in any community. For more information on our school, please send us an enquiry today.